A HACCP plan is essential to ensure proper food safety and hygiene at any food processing plant. We have covered the basic principles of a HACCP plan, and the common hazards that can fall under it. However, a HACCP plan is not a standalone procedure, but rather a part of a larger system of correct food safety practice. This larger system contains other systems that must also be put in place if HACCP is to work successfully, and in this article we will take a look at some of these other prerequisite systems and how they are put into practice. The main types of programs that serve as prerequisites to HACCP are Good Manufacturing Practices (GMPs) and Sanitation Control Procedures (SCPs). They affect the food processing environment thus should be seen as complementary to the efficient functioning of an HACCP system. HACCP addresses direct harmful risks due to hazards, but many of these can be proactively dealt with using proper GMPs and SCPs. GMPs are not specifically aimed at hazards, but rather encompass a more general overview of desirable food safety practices to prevent unsanitary conditions. 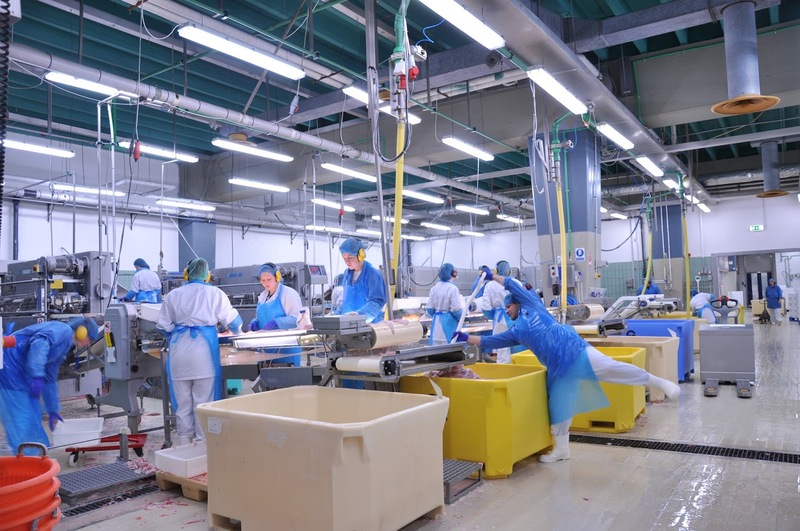 They are broadly focused and can cover all aspects of operating a food processing plant. SCPs are often more specifically delineated by Sanitation Standard Operating Procedures (SSOPs), which describe objectives and methods to work towards proper SCPs, and in turn proper GMPs, by keeping the plant clean and safeguarding the proper handling of food. An extensive following of GMPs and proper SSOP implementation can prevent hazards to the extent that they no longer need to be dealt with by the critical control points of an HACCP plan. For example, SSOPs can control bacterial hazards by defining proper product flow and employee positioning, sanitation procedures to avoid cross-contamination, putting sanitation stations near these positions, and ensuring proper cleaning and sanitisation of equipment. They could also prevent chemical hazards by detailing the proper procedure for removal of all chemicals used in the sanitisation process. Even though applicable SSOPs can regulate the number of control points in a HACCP plan, the procedures covered by SSOPs are not necessarily of lower importance. In fact, HACCP plans and SSOPs must work in combination to prevent hazards. For instance, sanitation, employee hygiene, and handling procedures can all play as big of a part in bacteria hazard prevention as the cooking and refrigeration steps addressed in HACCP plans. When proper SSOPs are in place, HACCP is actually more effective as it can focus on the process itself rather than the processing environment. As examples of what fall under the jurisdiction of HACCP and SSOPs, methods for dealing with specific hazards such as a Clean-in-Place system for sanitising equipment could become a control point under a HACCP plan. This means establishing critical limits, monitoring and record-keeping procedures, and corrective actions. More general sanitation issues should be dealt with by SSOPs, such as the regular pest control of the plant. Local regulations may dictate location, construction and maintenance of plant facilities, and this may require a license. Equipment production and installation should follow sanitary design principles, manufacturer recommendations and local regulations. This includes maintenance, cleaning and calibration. Standardised recipes allow smooth function process and engender uniformity of finished product. These ensure that products are handled appropriately. Includes receiving raw materials, storage, and shipping. Make sure all suppliers live up to proper safety specifications. This also entails providing them with detailed specifications as to your product requirements in terms of quality and quantity. Policies should outline behaviour protocols for employees and any other people that come into contact with the production process, such as visitors. This also includes making sure employee training is up to standard. Procedures to make sure all raw ingredients and processed products are properly labelled to confirm proper use, and adherence to local regulations regarding portion sizes etc. A recall system should also be in use so that any contaminated product can be brought out of circulation. Steps to check and maintain the quality of the finished product. Overall, all of these categories relate to the quality of the product and its delivery, whilst holding food hygiene at the plant to the highest standard. They are less focused on safety and hazard-elimination, although this can be a by-product of following good SSOPs and GMPs. These prerequisite programs must be implemented before a HACCP plan is constructed, as they form the basis for it, as well as interacting with it. They form part of the wider food safety system, and are integral to the efficient function of an HACCP system.